Dr. Milo G. Houghton married Rosetta Maria Sargent in Dec 16, 1856 at Danville, Caledonia Co., VT, USA, JWH: Danville. 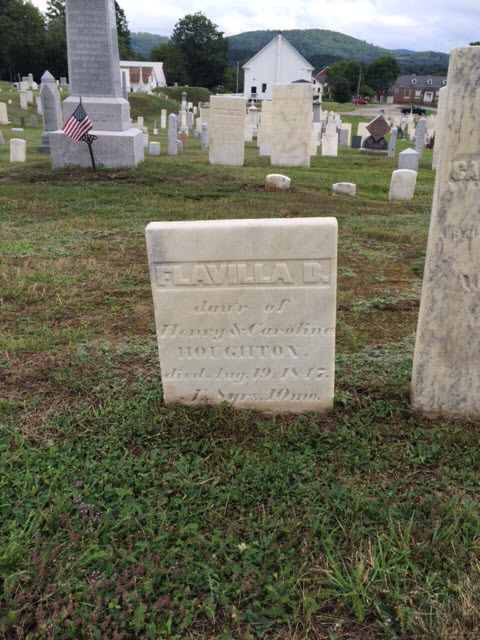 Elvira L. Houghton married Asa L. Hurlburt in Jun 25, 1873 at Lyndonville, Caledonia Co., VT, USA, age 39. Silas H. Houghton married Flora H. Cheney in Dec 22, 1869 at Lyndonville, Caledonia Co., VT, USA. 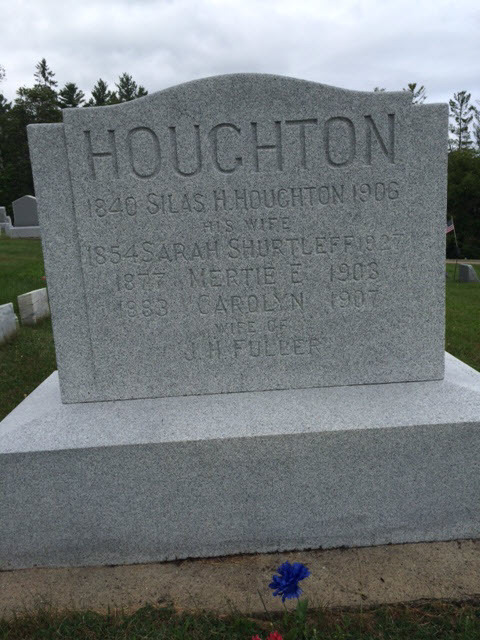 Silas H. Houghton married Sarah Sophia Shurtleff in Dec 16, 1874 at Lyndonville, Caledonia Co., VT, USA, age 33, 2nd mar; JWH: 2 Oct 1823, no wife. 1850 Census 1850 St. Johnsbury, Caledonia Co., VT, USA, age 25, a laborer; an Aschah A. Ayer, age 11, was living with them. Maria B. Ayer married William Potter Houghton, son of Paul Houghton and Eunice Potter, in Oct 2, 1849. Rosetta Maria Sargent married Dr. Milo G. Houghton, son of Paul Houghton and Eunice Potter, in Dec 16, 1856 at Danville, Caledonia Co., VT, USA, JWH: Danville. Asa L. Hurlburt married Elvira L. Houghton, daughter of Paul Houghton and Eunice Potter, in Jun 25, 1873 at Lyndonville, Caledonia Co., VT, USA, age 39. Savannah M. Houghton first married John F. Sargent JWH: Dec. 31, 1856 on Dec 31, 1857 at St. Johnsbury, Caledonia Co., VT, USA. 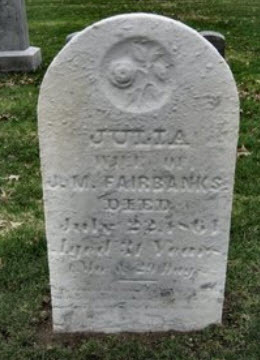 Julia Alma Houghton married David Nickerson in Jan 28, 1869. Katy Richardson Houghton married John Roger Lee in Aug 18, 1861 at St. Johnsbury, Caledonia Co., VT, USA, age 21, JWH: Johnsonbury. Phineas Cook Houghton married Hannah Whipple Morse in Jan 28, 1875 at St. Johnsbury, Caledonia Co., VT, USA, age 29, a Capt. and joiner. Charles Henry Houghton married Susan A. Rice in Oct 2, 1877 at St. Johnsbury, Caledonia Co., VT, USA, age 22. John F. Sargent first married Savannah M. Houghton JWH: Dec. 31, 1856 on Dec 31, 1857 at St. Johnsbury, Caledonia Co., VT, USA. John F. Sargent married Fanny Dexter. David Nickerson married Julia Alma Houghton, daughter of Henry Houghton and Caroline M. Cook, in Jan 28, 1869. John Roger Lee married Katy Richardson Houghton, daughter of Henry Houghton and Caroline M. Cook, in Aug 18, 1861 at St. Johnsbury, Caledonia Co., VT, USA, age 21, JWH: Johnsonbury. Hannah Whipple Morse married Phineas Cook Houghton, son of Henry Houghton and Caroline M. Cook, in Jan 28, 1875 at St. Johnsbury, Caledonia Co., VT, USA, age 29, a Capt. and joiner. Susan A. Rice married Charles Henry Houghton, son of Henry Houghton and Caroline M. Cook, in Oct 2, 1877 at St. Johnsbury, Caledonia Co., VT, USA, age 22. Gladys Rebecca Houghton married Edwin C. Cummings in May 15, 1907. Hobert Bacon Houghton married Eunice Fox in Jul 30, 1906 ages 22 and 19; age 4 in 1910 census; JWH: 30 Jul 1907. Edwin C. Cummings married Gladys Rebecca Houghton, daughter of Charles Henry Houghton and Susan A. Rice, in May 15, 1907. Eunice Fox married Hobert Bacon Houghton, son of Charles Henry Houghton and Susan A. Rice, in Jul 30, 1906 ages 22 and 19; age 4 in 1910 census; JWH: 30 Jul 1907. Angeline Elizabeth Houghton married George W. Bartholomew in Jan 5, 1854 at Geauga Co., OH, USA. 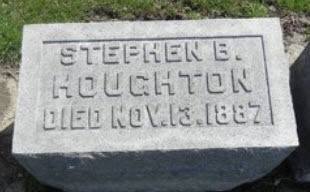 Stephen B. Houghton married Martha J. Crafts, daughter of Benedict Crafts, in Jan 21, 1858 at Geauga Co., OH, USA. Lucy Sophronia Houghton married Henry Wealand in Dec 8, 1858 at Geauga Co., OH, USA, w/1; JWH: Dec 27. Harriet Maria Houghton married Major B. Cook in Dec 11, 1862 at Geauga Co., OH, USA. 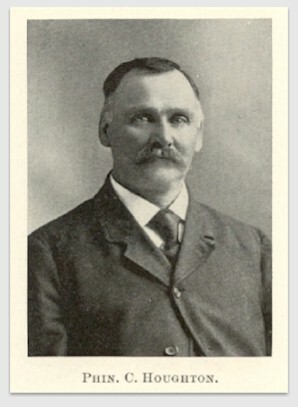 Albert Keller Houghton married Florilla M. Hammond in Dec 2, 1868 mar 41 y in 1910 census.